What can I say, don't bother with free profiles, you'll just end up buying this anyway. Everything about this profile and the author is legendary. Follow the instructions and let it get on with itself, just don't get greedy and run it 24 hours a day! It's not going to play the game how you would, it won't do all the quests you would, but it will free up your life so trust the profile and enjoy pain free levelling. My only interference has been to send the toon bags and gear from my main just to keep things current and I've impatiently learned higher levels of skinning and first aid when I've gone back to Org for world buffs 🙂 A special mention goes for the technical support I got when I had a little issue with my authentication that ended up totally being my fault! 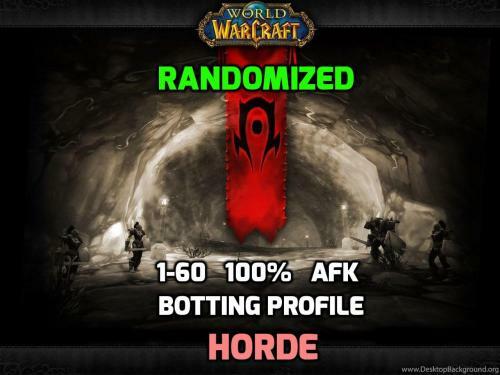 (Don't try to bot wow whilst connected to a corporate VPN where your work firewall blocks connections to authentication servers! ).